Healthy news and information from Tankard Dental . So, you think you take perfectly good care of your teeth? If you can make it through this list without feeling guilty and brush and floss regularly, consider your oral health in tip-top shape! Smoking. Cigarettes lead to bad breath, discolouration and a higher risk of oral cancer. More so, the popular alternative known as vaping is still harmful to your mouth as nicotine restricts blood flow to the gums. Nervous biting. Chewing pencils or our nails may not be something we easily recognise as bad for our teeth, but it can weaken or even chip them. Opt for a stress ball instead. Do you have proper tongue posture? Your tongue should naturally rest on the roof of your mouth. If not, you could be over clenching and grinding your teeth. Eating dried fruit. Though we often think of fruit as healthy, certain dried fruits can be packed full of sugar—like raisins. Instilling proper oral health habits in your children while they’re young can make a world of difference in their smile for years to come. But getting them excited about their oral health can be difficult for some parents. 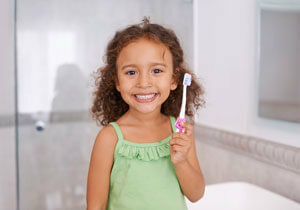 If that sounds familiar, consider these easy tips for getting your kids to brush their teeth. 1. Start a reward system, which can be as simple as giving them a sticker each time they complete their daily brushing and flossing. 2. Let your child help shop for teeth friendly foods. Let them know early on that sweets like chocolates and sweets are not on the list. 3. Introduce a brushing pal. Let them bring their most loved doll or stuffed animal along when it’s time to brush each morning or night. You can even let them “brush” the toy’s teeth first. Having straight teeth can improve your confidence and bite, but giving your smile a colour boost with at-home whitening products is now easier than ever before. The catch? With so many options and different ingredients, how can you be sure you’re choosing the right product? The next time you venture to your local supermarket or pharmacy in search of a product to brighten your smile, be sure to look for the ADA’s seal of approval, which can be found on toothpastes, mouth rinses and other oral health products. When a product bears this seal, you’ll know that you’re choosing a product that has been endorsed by dental professionals. 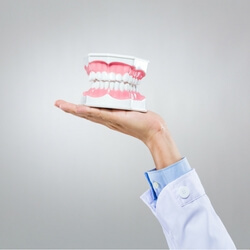 Over-the-counter teeth whitening products can help you achieve a noticeable smile improvement, but will not be as powerful as in–practice treatments. If you’re considering safe and effective professional teeth whitening, ask us about the best options at your next visit.